You shall pay, black prince. I shall place a curse of suffering on you that will doom you to a living hell. I curse you with my name. You shall be... Blacula! 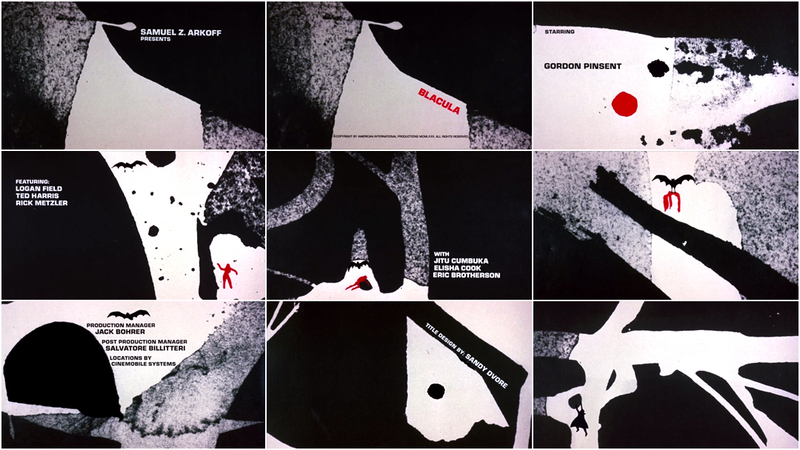 The opening title sequence to William Crain’s Blacula, designed by Sandy Dvore, is the story of a predator, fluttering alone in a strange and stark world. Amid the rough grain of paper and close-up ink textures, a black bat stalks a round red dot through a maze of white veins. The dot transforms into the crimson figure of a woman and in one small scene after the next, the bat hunts and feeds, taking where it can. This animated sequence appears seven minutes into the film, immediately following a stiff opening prologue, and injects the film with style and levity. Its spirited animation and funkadelic groove aids the film in shifting gears, transitioning from past to present-day Transylvania. The minimalist approach and colour palette harkens back to the graphic execution of Dvore’s previous title design effort for The Dunwich Horror. 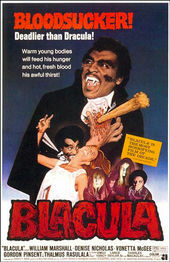 The genres of horror and Blaxploitation experienced a great crossover in the early- to mid-1970s, resulting in a number of Blaxploitation horror films, but the first and most often remembered is still Blacula. It was so successful that the studio, American International Pictures, produced a sequel immediately. 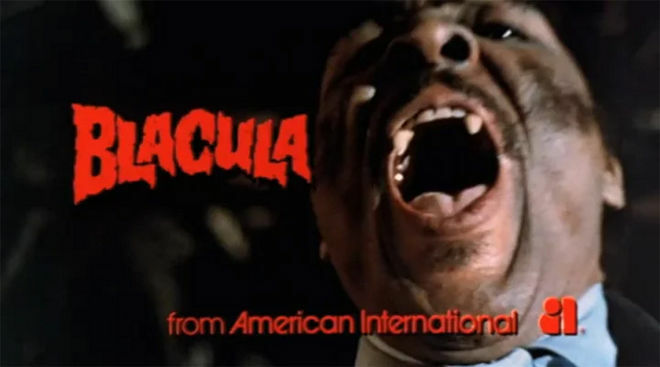 Scream Blacula Scream, released only 10 months later in 1973, also bore a title sequence designed by Sandy Dvore.